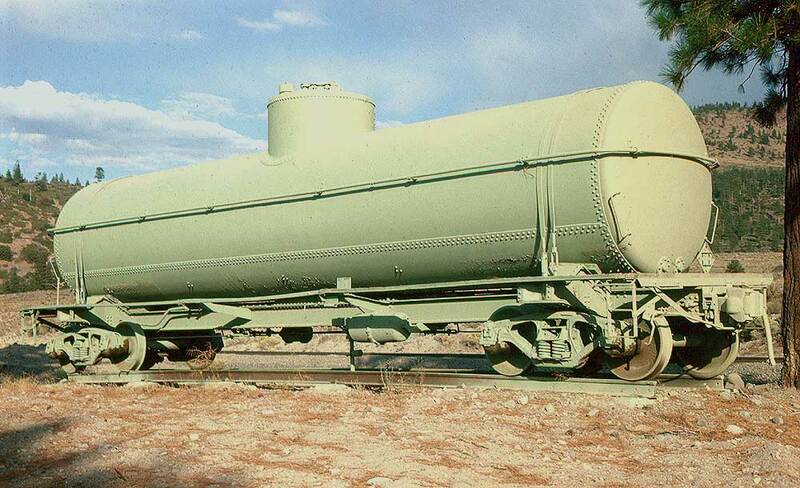 Sunset at Andesite, 1991: Wx4 staff seems to recall that this tank car, used by the U.S. Forest Service as a water storage tank, was a then-recent replacement for a circa 1905 SP car that had occupied the same spot. 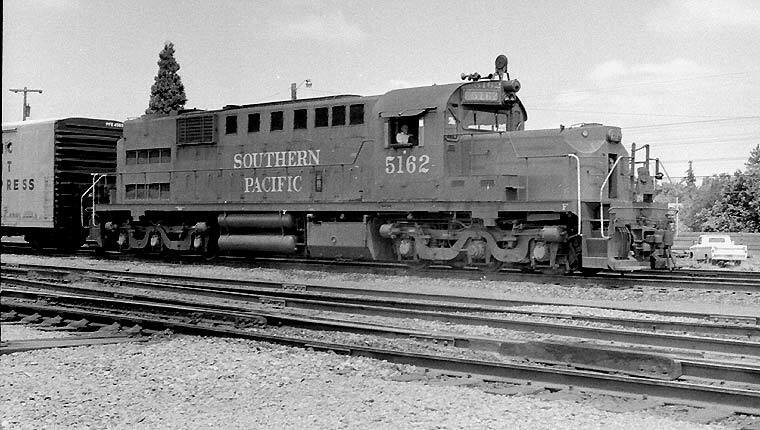 But then, Wx4 staff also recalls that Southern Pacific was a subsidiary of Dunkin Donuts. Anybody have a photo of the previous car? A full likeness of the above car is located at the SP M/W page. 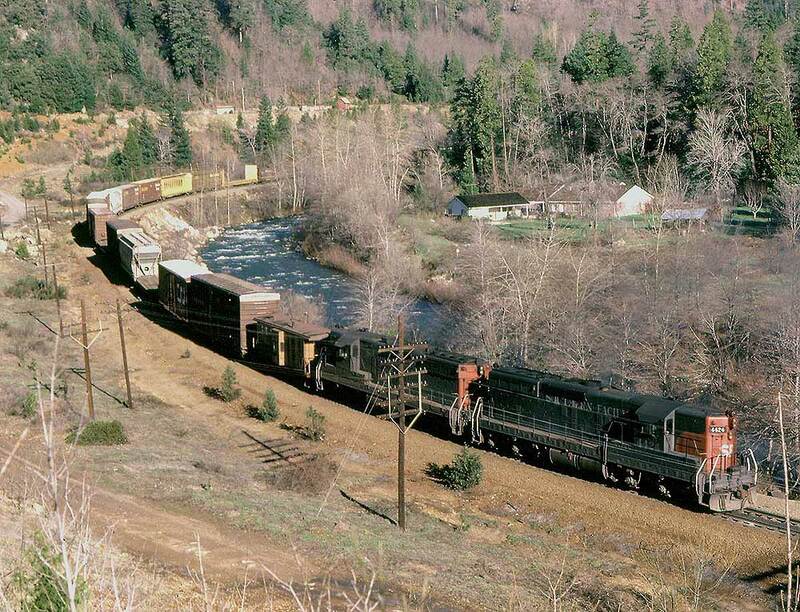 Shortly after Wx4 staff recorded the photograph, the station was moved across the McCloud River Railroad main track to the corner of Alma and Mt. Shasta Blvd. 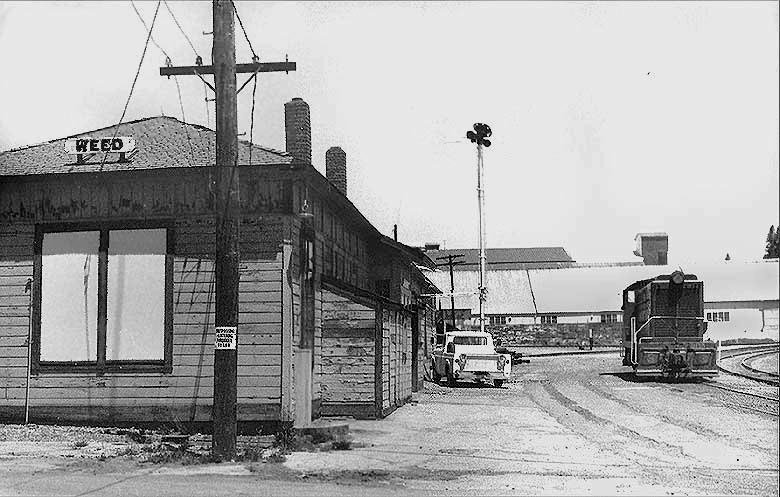 (out of photo to left) and incorporated into the building which is now "Shasta Station", a commercial business building. 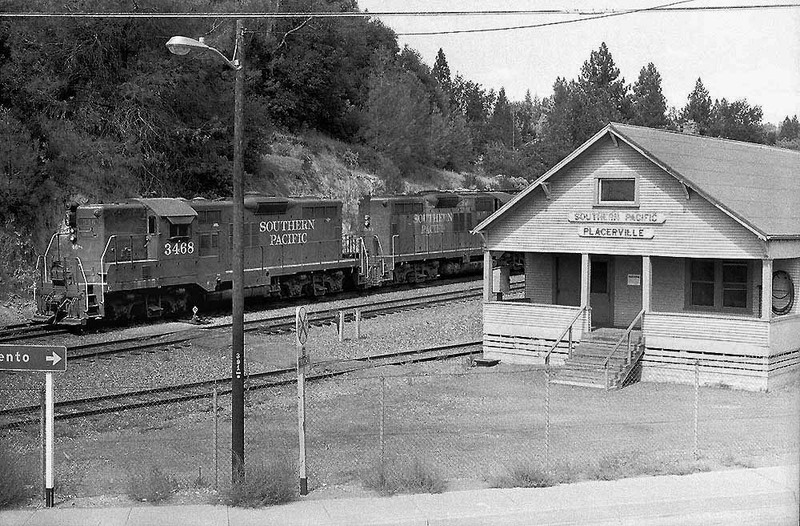 The passenger structure eventually wound up as a still-extant guest house at a Buddhist monastery near Black Butte siding. 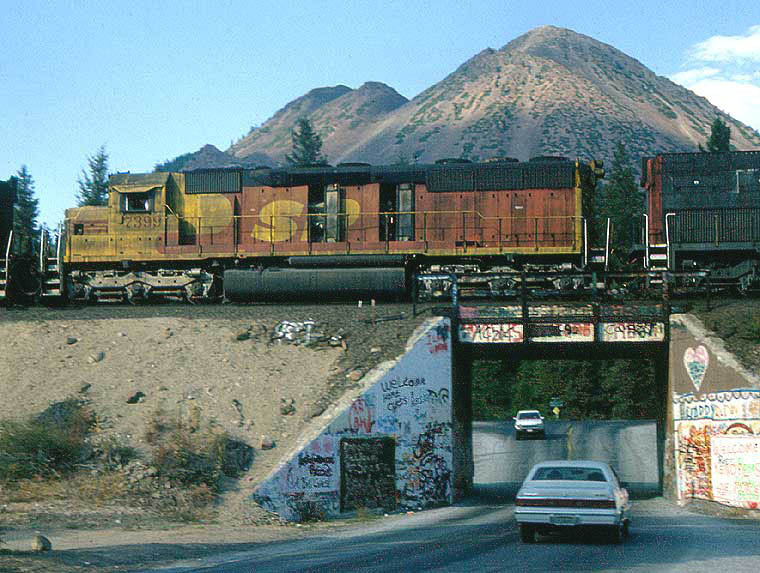 The boxcar in the picture below is sitting on the aforementioned McCloud Main, where in 1984 another boxcar was located at the right edge of the photo. This latter boxcar, containing all of Wx4 staff's wordly goods, and had made the trip up from San Jose's College Park Yard, and despite an abundance of Do Not Hump placards (scan of of one we used at left), had gone over the Roseville hump anyway, demolishing a cheap dresser. We unloaded it right there on the McCloud Main, which gave us a strange feeling of power. 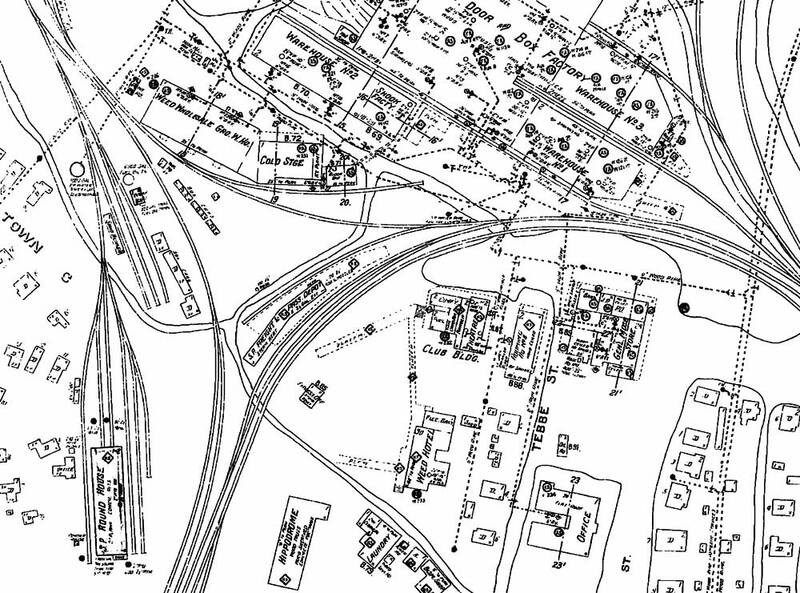 Below the lower photo is a 1928 Sanborn map showing the buildings' respective locations. Note that Walnut Street is now Mt. Shasta Blvd. The track on the northeast side of the Freight Station is the McCloud Main, which has terminated short of Alma since 1993. 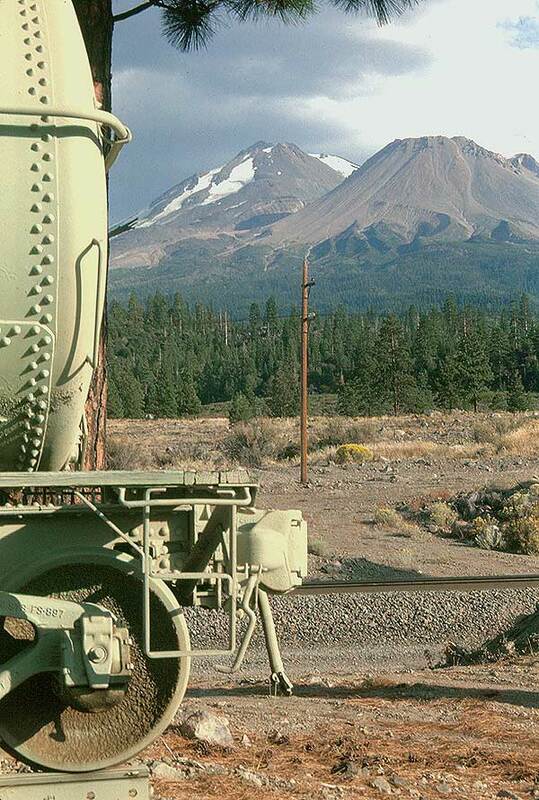 (below) Wx4 still maintains subsidiary offices geographically west of Black Butte (background) and Upton siding. This overpass (or underpass, depending upon your existential leanings) on Old Stage Road has served not only as a conduit for Wx4's comings and goings, but also as the local teenage community's message board for as long as anyone can remember - the paint must be a couple of inches thick. To their credit, the local younsters have largely confined their creative forays to this one spot and sometimes have managed bits of near-fine art. 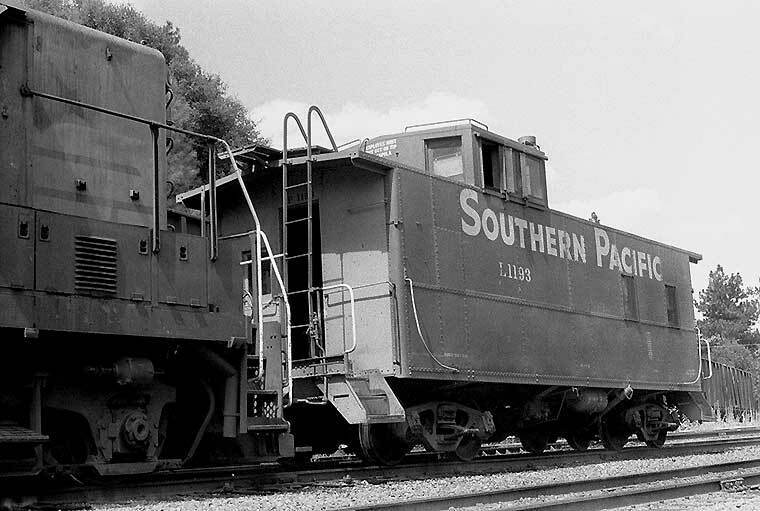 Here, in 1993, SP's unique SD-45 rebuild #7399 displays a stellar example of SP Grunge Art. Weed still had an open train order office and an assigned switch engine - Baldwin S-12 # 2115 - contained within its wye in June, 1970. 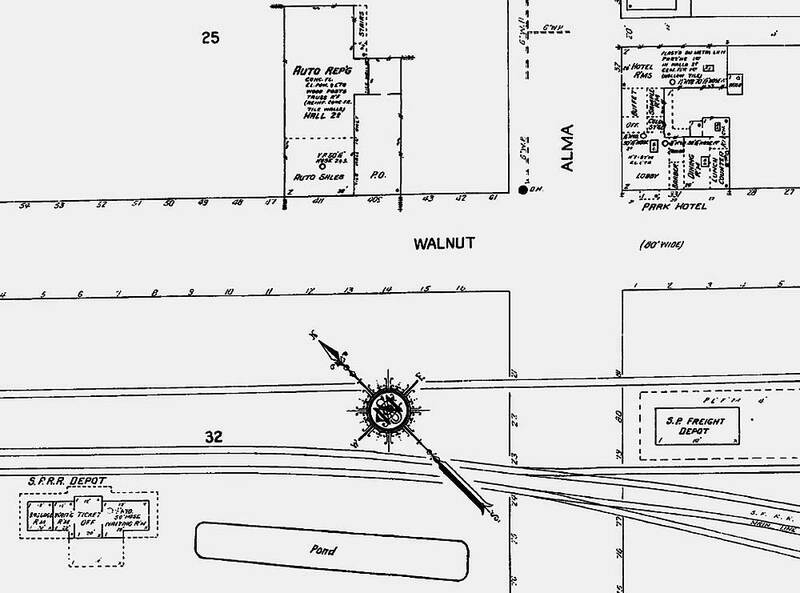 Until the cessation of the Weed helpers, the locale also boasted a "Round House", as shown in the 1928 Sanborn map, below. 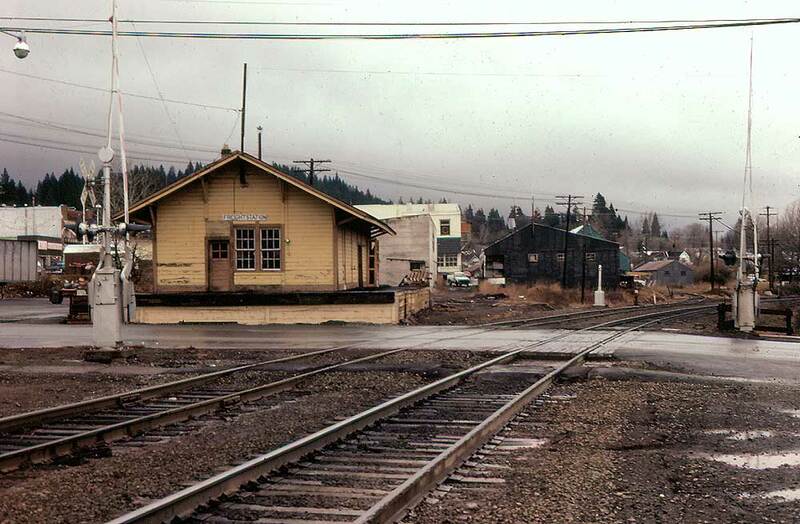 Today, the depot and Baldwin are long gone, and the wye is now Central Oregon and Pacific Railroad territory. Idled by recession, Summer 1975: The "stored serviceable" lines at Roseville (above, below) and other major terminals obviously were key indications of what locomotive models and individual units were out of favor with the mechanical department, and likewise what one should seek out for those 'swansong' shots when times got better. Of the Alcos recorded here, only S-4 1806 (one of the last on SP) certainly never returned to active service and may have already been retired by the date of the photo. 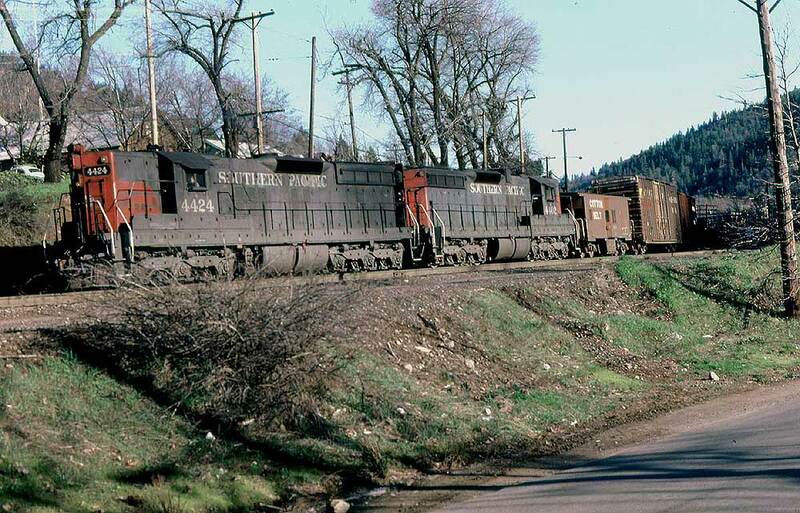 Most likely, S-S's 1200 and 1212 never returned to service (both retired in the first half of 1976). 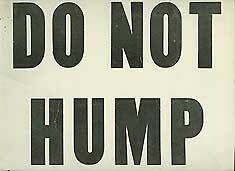 The rest survived until 1978 (and a handful of others continued switching around Fresno until 1979-80). Also nearby that day was S-6 1230, apparently serving as the shop switcher. SD45X 9502 was later recalled to work into the early 1980's. Alco RSD-15 #3102 apparently went back to the Eugene to rejoin her sisters on the hump. With them, she was retired in 1978. 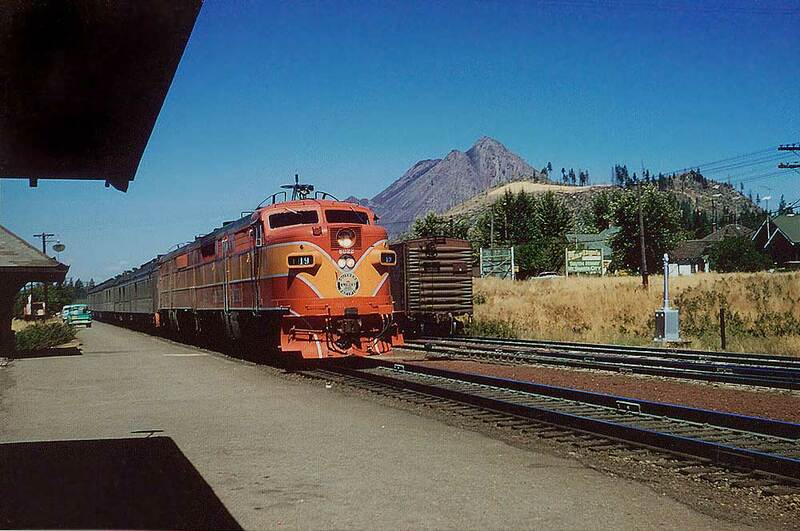 In earlier, more-productive times on the Eugene hump in June 1970, the unit was known as the 5162 and sported a peculiar looking radio antenna on top of the cab (third below).